Warren Buffet and Sixto Rodriguez the real life hero of Malik Bendjelloul’s Searching for Sugar Man have one thing in common. They both have occupied the same modest diggings for many years (Buffet for over 50 years in downtown Omaha, Rodriguez in downtown Detroit). Searching for Sugar Man tells the story of how recognition eluded one of music’s greatest talents. Rogdriguez's two albums Cold Fact (l970), which includes the iconic song “Sugar Man” and Coming from Reality (1971) never sold in the United States, but they became huge underground hits under the apartheid regime of P.W. Botha in South Africa .When Rodriguez was rediscovered in l998, he played sold out concerts in a triumphant return to South Africa. 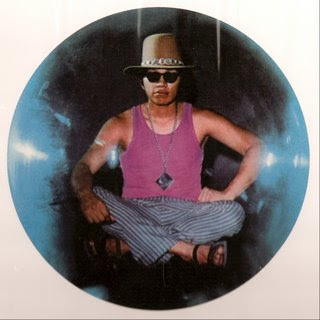 There are numerous paradigms for fame, mythmaking and celebrity and Rodriguez’s career epitomizes many of them. For instance his popularity in South Africa partakes of the spirit of Samizdat which made Pasternak and Akhmatova cultural heroes in Russia. “Every revolution needs an anthem,” one of Bendjelloul’s subjects comments about Rodriguez’s popularity. And then there is the reclusiveness which has characterized the careers of writers like Pynchon and Salinger, though as he appears on screen Rodriguez is less reclusive than humble. Searching for Sugarman starts off like a film noir with fog and smoky rooms and the implication of a conspiracy against genius. But when asked about what happened after he completed Coming from Reality, Rodriguez explains he stopped recording since he had to get back to his day job as a construction worker. Rodriguez's songs are often despairing and dark. During the film, the producer Steve Rowland describes “Cause” from the Coming from Reality album with its lyrics “Cause I lost my job two weeks before Christmas/ And I talked to Jesus at the sewer/And the Pope said it was none of his God-damned business/While the rain drank champagne” as one of the saddest songs that’s ever been written. The truly surprising thing about Searching for Sugar Man is how uplifting the film turns out to be.